Jeep has been producing hard-working machines since the 1940s, sending its vehicles out into the toughest terrains in the world. The name Jeep is synonymous with durability, and the Cherokee represents all the performance and reliability that we’ve come to expect. It even brings some state-of-the-art tech and cabin comfort features to the table as well. For 2019, Jeep updated the compact SUV with a sleek exterior styling. You’ll immediately notice the smooth curves, and the available Bi-Xenon high-intensity discharge headlights are easy on the eyes. The new infotainment system offers Android Auto and Apple CarPlay, along with a 7-inch touchscreen. If you need a vehicle that can tow and haul, you can outfit the Cherokee with a new 2.0-liter engine that pushes 270 horsepower without compromising on fuel efficiency. If you’re searching for a versatile SUV in the Fox River Valley, we’re here to help. At Sycamore Chrysler Dodge Jeep Ram, our staff of automotive experts can zero-in on the right vehicle to suit your needs. We also have a master-certified sales and leasing consultant that will work with you to plan a trouble-free investment. Call or visit our dealership today to try the Cherokee for yourself and explore our selection of other vehicles. The 2019 Cherokee has soft cloth seats for five occupants, and there’s no shortage of legroom even with a full house. The rear outboard seat facilitates a car seat with a full set of LATCH connectors. An available sunroof makes for a light and airy environment, and passengers will delight in the convenient infotainment system. The 2019 model also delivers more storage capability than ever before, with 75.8 cubic feet of cargo space with the back seats folded. New available Bi-Xenon headlamps shine bright from sleek housing, and the iconic Jeep fascia has been updated with a honeycomb grille. The Cherokee undoubtedly delivers an enjoyable ride for road trips and daily commutes, but we all know that it was born for navigating rough terrain. Jeep packs four-wheel drive as a standard feature, and the Selec-Terrain system contributes five drive settings intended for different ground textures like mud, gravel, or snow. The Cherokee’s weighted steering wheel keeps handling secure whether you’re driving through town or out in the country. There are several engine options available, each paired with a nine-speed automatic transmission. The standard offering is a 180-horsepower 2.4-liter 4-cylinder. While the base is no slouch, you may want to check out the new 270-horsepower 2.0-liter turbocharged 4-cylinder engine or the 271-horsepower 3.2-liter V6, which boasts a towing capacity of 4,5000 pounds. Why Buy or Lease A Cherokee from Sycamore CDJR? 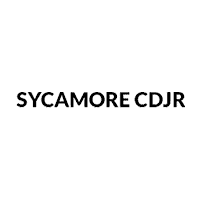 At Sycamore CDJR, we want to help you find exactly what you’re looking for, whether it’s an agile SUV or any other car, truck, or sport utility vehicle. You may browse our inventory on the web or pay a visit to our dealership. Don’t forget to ask about our new and pre-owned vehicle specials and incentives.